As well as potentially improving our brain function, eating these sorts of foods could improve our mental well-being—and could even help the planet, too. Importantly, rats fed these different diets did not differ in their total energy intake—only the type of fat and sugar varied. It’s well known that a poor diet can reduce the diversity of the gut microbiome. Our work in rats has shown the cognitive impairments produced by exposure to an unhealthy “cafeteria” diet—a Western-style diet high in saturated fat and sugar—are linked to changes in the gut microbiome. The recently published EAT-Lancet report adds a further compelling reason to eat healthily: the environment. 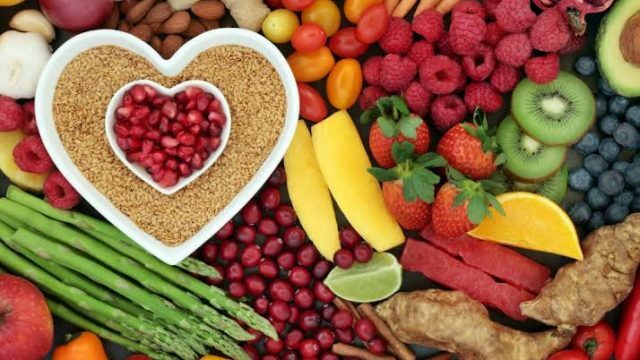 This commission argued for a “planetary health” diet—akin to the Mediterranean diet—consisting of whole grains, vegetables, fruits, nuts and dairy, healthy fats, with low animal protein and few processed foods. Overhauling food systems—and individual food habits—will not be simple while foods high in fat and sugar are so readily available and relatively cheap. Professor Margaret Morris is chair and Head of Pharmacology, School of Medical Sciences, University of NSW. She uses neuropharmacological approaches to explore underlying brain mechanisms in epilepsy, obesity, diabetes, and the link between obesity and high blood pressure. She has developed models of voluntary high fat feeding in rat and mice. The impact of parental obesity and early childhood events has been a key focus of research. Her lab has worked extensively on the impact of maternal obesity on offspring metabolic and cardiovascular risk, and is currently exploring options for intervention. Recent work investigating the role of paternal obesity on the health of offspring demonstrated that when rat fathers were fed a high fat diet to induce obesity and glucose intolerance, the resulting female offspring exhibited impaired glucose tolerance and insulin secretion as young adults (Nature, 2010). Other major research questions Professor Morris explores is how does provision of a varied, energy rich diet override the regulatory control mechanisms that should maintain body weight? The Morris lab showed that palatable high fat diet can ameliorate the behavioral effects of early life stress; notably voluntary exercise had similar benefits (Psychoneuroendocrinology 2010).